Achieving Oneness with th. . . Does it excite you to know the deeper truths about who you really are? Do you want to know more about what people call as the "soul"? Then join us for this exciting workshop where you will learn about the higher dimensions of consciousness and your soul. - How your soul incarnates? - How your soul leaves the body once your life on Earth is complete? - Where is the soul is located in our body? - Can we change our fate (Karma)? - What am I doing here on Earth? - Where do I come from? So come along and be a part of this exciting informatory course! Shuchi is a 'Certified Pranic Healer' and has been practising for the last six years now. She also heals through crystals, clean up spaces (home, office etc.) of negative energies, do healing for a career, studies and relationships. She has an impressive profile- Pranic Healing Certifications in Advanced Pranic Healing, Pranic Psychotherapy, Crystal Healing, Psychic Self Defense, Feng Shui, Pranic Face Lift and Body Sculpting and Super Brain Yoga. 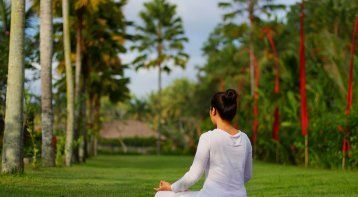 Shuchi describes her spiritual journey as a mesmerising one. She had a friend who healed her on two occasions– both were nothing short of being miracles to her. She says-"It was like a flick of a hand and the problem was resolved. Unbelievable!!" 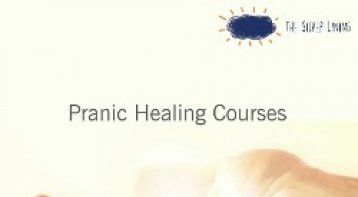 Out of curiosity, she pursued the Basic Pranic Healing Class out of curiosity. When she completed her course, she tried to test her skills by holding people's hands. She was amazed when she observed healing in the people she met. It worked! Since then Shuchi has never looked back. One thing led to another, and here she is- still healing people after six years. 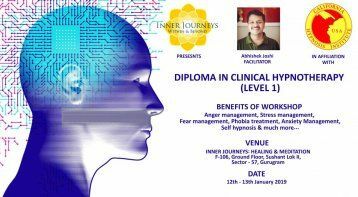 Diploma in Clinical Hypnotherapy Level 1. . . Please call our expert, Mrs. Jeetika Duneja, on 9997665031. Please note that our experts accept calls between 10 a.m and 7 p.m only.